#LAURIEROWEEK18 is your chance to find out why it’s so great to be a Laurier Golden Hawk. 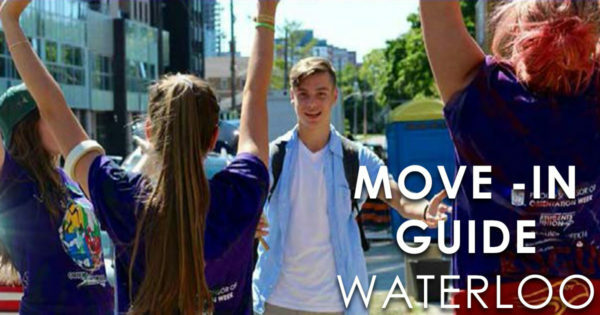 This full week of events, programs and workshops introduces you to the Laurier community, your home away from home and your future friends. 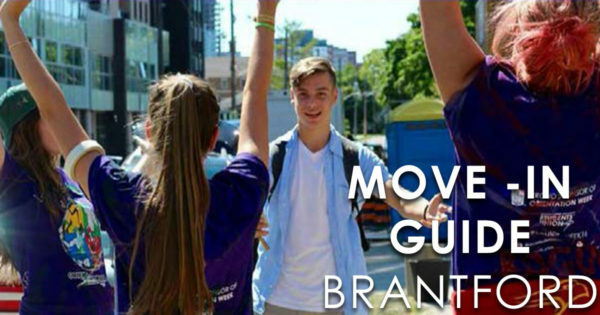 O-Week begins on Move-In Day: (Sunday, September 2nd & Monday, September 3rd for Waterloo; Monday, September 3rd for Brantford) and runs until Saturday, September 8th. Mysterious, cunning, and sharp, the Riddler is a ghost beneath a hat and trench coat. 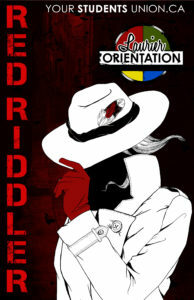 Shrouded in secrecy, the Riddler may take the form of a detective or a spy, though no one really knows their true form. They are levelheaded, even-tempered, and handle any obstacle with ease and swiftness. On an average Friday night, the Riddler may be found in dark alleyways, perched under lampposts, or solving the latest crime or puzzle. Favourite food: a steaming cup of coffee, or ice cold revenge. 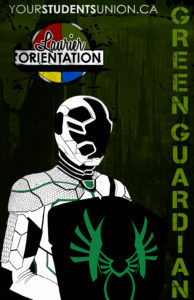 Strong, loyal, and unwavering, the Guardian is a protector, a defender, and a warrior. Guardians thankfully have traveled back in time to help save Laurier! Guardians have existed throughout history if they carry a shield; chances are they’re a Guardian! From the fields below to beyond the cosmos, Guardians are steadfast and true by nature. Their battle cries and bellows carry far and wide, if there’s a Guardian around, you will know for sure. On an average Friday night, you may find a Guardian playing some form of team sport or polishing their shield collection. Favourite clothing accessory: a shield, duh. 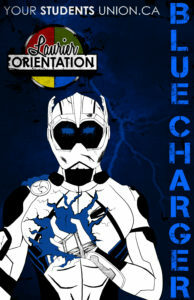 Blue Chargers are notoriously fun-loving, calm, and good-natured… Until they get charged up. Then, things might get a little… shocking! With magnetic personalities, Chargers are friends to all, regardless of coloured team! Because they hold immense power in just the palms of their hands, Chargers are cautious, striking, and extremely precise. And, they’ve always got your back if your phone needs a boost. Chargers wield the power of nature, so a lot of what they do is electric and loud! They live life with the dial turned up to 11, sending shockwaves wherever they tread. Favourite clothing accessory: Three words; Lightening. Bolt. Everything. 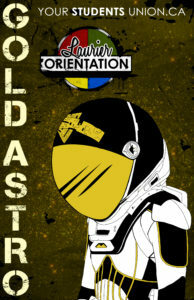 The Gold Astro is extremely intelligent, focused, and detail-oriented. Because they’re a pilot beyond the atmosphere, they know the demands and importance of what they do. They are skilled, tactile, and wise beyond their years. It takes extreme precision and attention to patrol and explores space as they do. Refueling their spacecraft, the Astro is always one step ahead of the game and prepared for anything. They spend their free time training for their next mission, taking notes on their latest discovery, or communicating via radio to their home base. Beneath the helmet and space suit, Astros are individualists who think for themselves. They fear nothing, and they value the connections they have to their home planet. Step 1: Select your campus above. Step 4: Head to the Checkout. You’ll see an “Add More Tickets” button on the screen. Fingers crossed, you’ve made it to the end of this journey. 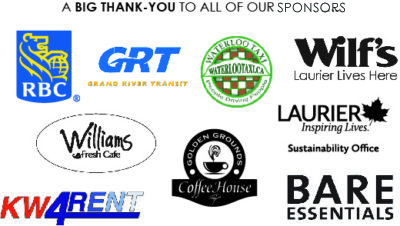 Your tickets will be emailed to your preferred email address. Save in a safe folder or print off and store away until September. You now have your GOLDEN ticket to #LAURIEROWEEK18!